This year we’re marking ten years of restored original vintage lighting here at skinflint. To celebrate, join us for cake and a glass of something cold on Wednesday 17 April from 10am-4pm when we’ll be throwing open our unassuming grey door and welcoming everyone down for a chance to see what goes on in our Aladdin's cave of lights in our wharfside Victorian warehouse here in Penryn. 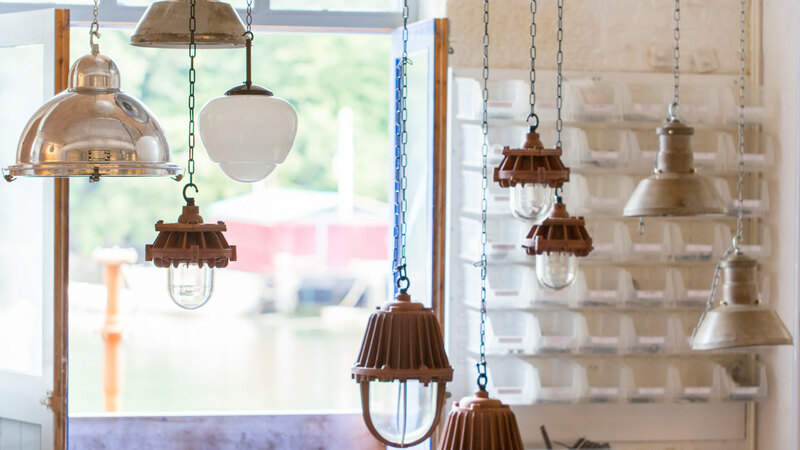 Our vintage lighting experts will be on hand to answer all of your lighting conundrums. As well as being able to view our full range of reclaimed lighting finds available online, you’ll also be able pick up one of our Last on the Shelf sale lights at up to 50% off their normal price. As with all of the unique lights we salvage and restore, when the last on the shelf lights are gone, they're gone! Email [email protected] to let us know you’re coming and what product you’re interested in so that we can have it ready for you to view.